With True Blue, Madonna had set herself a much higher standard than her first two albums. The huge success of the album encouraged her to continue making her music both lyrically and musically strong, provocative, emotional and yet dancy. She also felt comfortable to write about her personal problems, and those she had a lot. Her next album would become one of her most personal albums ever. Just like with True Blue she opted again to work with both Steve Bray and Patrick Leonard for production and writing. Most of the texts came from herself though. She wrote about her bad marriage with and divorce from Sean Penn (Till Death Do Us Part), her love-hate relationship with her father (Oh Father) and the importance of family (Keep It Together) and for the first time about the tragic death of her mother (Promise To Try, Oh Father). The album was also dedicated to her mother "who taught me to pray". 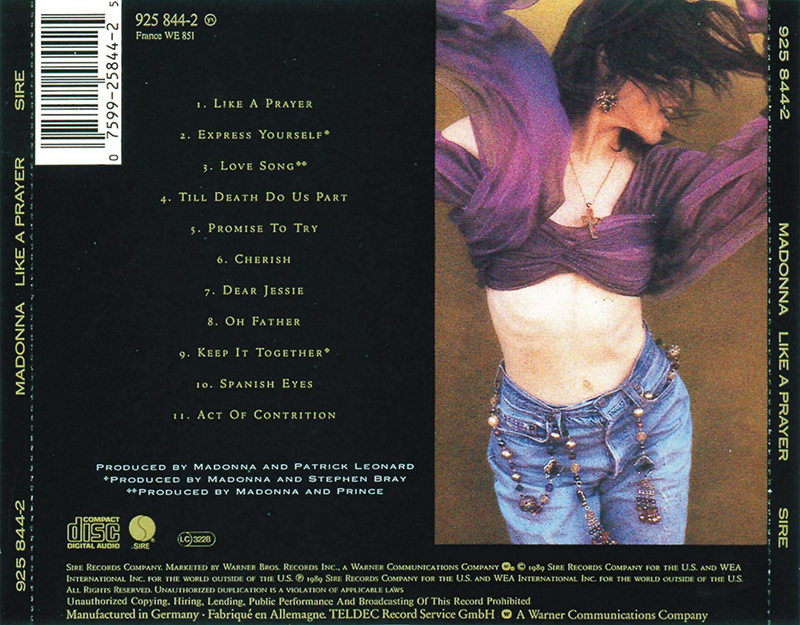 The album Like A Prayer was released on March 21, 1989. Only weeks earlier the lead-off single had caused big controversy within religious groups. Both single and album became a big hit soon. The second single was another milestone: Express Yourself stirred opinions on feminism. Far from controversial was the love song Cherish. In the winter of 1989/1990 the US got two more singles: Oh Father and Keep It Together, while Dear Jessie was released in Europe. While the first 3 become big hits, the last 3 were soon forgotten. The original issue of the album contained a 'The facts about aids' leaflet. The inner sleeve was infused with the scent of patchouli oil. Track no. 10 was titled Spanish Eyes. This was renamed in later issues to Pray For Spanish Eyes. 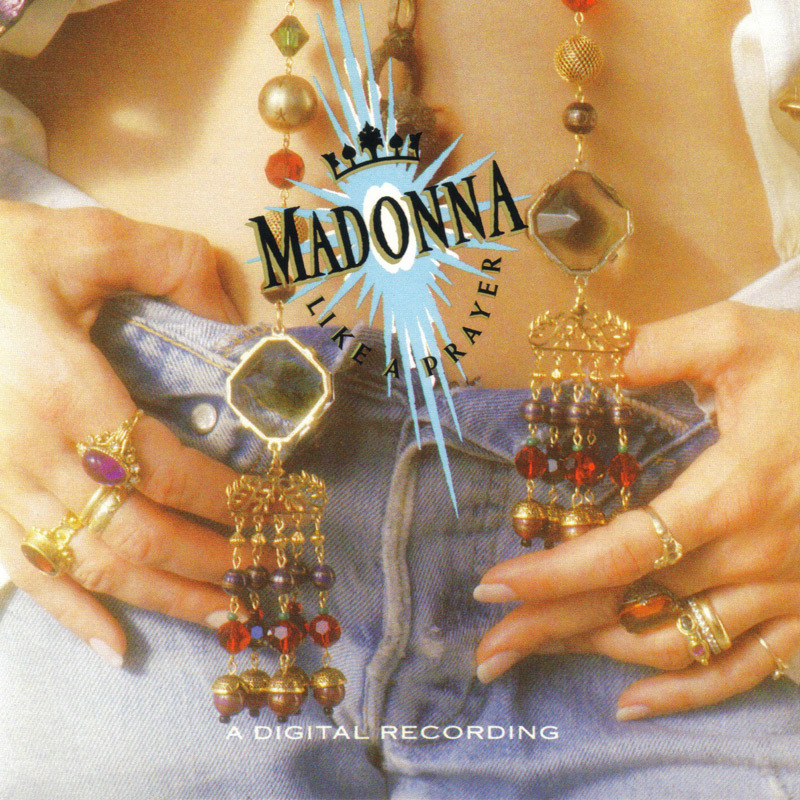 With this album Madonna first got a huge critical acclaim. It still stands as one of Madonna's best and most personal albums in her career, and a favorite among fans. The critical acclaim was also translated into a few awards. At the 1989 International Music Awards, Madonna was named 'Best Female Artist' for recording Like A Prayer. At the 1989 MTV Video Music Awards, she received a career achievement 'Artist Of The Decade', as well as awards for 'Viewers Choice' (for Like A Prayer), 'Best Direction', 'Best Art Direction', 'Best Cinematography' (all for Express Yourself). Oh Father also received a Grammy nomination for 'Best Short Form Video'. After Like A Virgin and True Blue, Like A Prayer was Madonna's third album to top the album chart in both the US and the UK. It also reached #1 in Canada, Austria, France, Germany, Italy, Japan, Norway, Sweden, Switzerland and the Netherlands. In July 1997 it was recertified 4 times Platinum for shipments of 4 million US copies. Worldwide sales surpassed 15 million copies.